After the death of their parents and other siblings, Charlotte and her brother Victor only have each other left in the world. 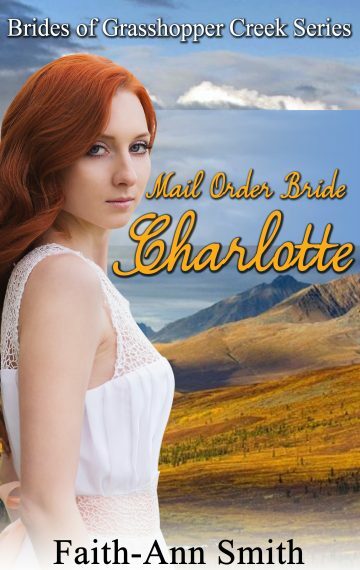 Well past marrying age at thirty years old, Charlotte has nearly resigned herself to spending her life taking care of Victor when she suddenly discovers that he has been planning for them to move away from Philadelphia and seek out their futures in the Frontier town of Bannack, Montana. Though Victor refuses to admit it, Charlotte knows that having a single sister following him around is limiting to him and she decides to take responsibility for herself and find a man who is looking for a wife. She doesn’t care who he is, as long as he is from Bannack. She finds a potential suitor quickly and they make plans to travel, but when she meets her intended face to face, she finds it difficult to talk to him. Doubt creeps in and Charlotte begins to wonder if their courtship was rushed. Has she made a terrible mistake in coming to Bannack, or will the two find another way to communicate so that their love has a chance to blossom and grow?